We offer a wide range of Pliers, Spanners, Screw Drivers, Socket Sets etc. 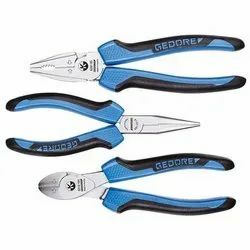 Gedore manufactures one of the finest quality of pliers globally, having more than 25 variants of pliers, these are dotted handle for better gripping. Provides better results with minimum gripper. It reduces operator fatique. The blade of side cutter are tetanized for longer durability. We are an acclaimed name in the market, engaged in presenting a superior quality array of Wire Rope Cutter. This cutter is used for cutting various ropes and wires and cables. The offered cutter is also available in various sizes. Our professionals manufacture the cutter using quality materials and adhering to industry standards. According to the client’s requirements, this cutter can be customized according to the business needs. Apart from this clients can get the cutter from us at industry leading rates. Crimping of bowden cable sleeves & end sleeves 1.5mm, 2 & 4mm. It can be used to cut wire rope upto 6mm diameter & 1800N/mm2 eg: SS wire wopes. Wires upto 750N/mm2 with max 4mm dia. Single & multi core copper & aluminium cable with max 6mm dia. Spares of Cutting plates are available. We provide 2 & 3 leg heavy duty bearing pullers for removing taper roller and ball bearings, inner bearing races and other tightly seated or thin walled parts. These pullers have capacity upto 40Tons. Our puller are made of high quality, forged steel components provide superior reliability and service. Gedore Non Sparking Tools are either made of low sparking special Bronze & Copper Beryllium alloys or other other non sparking material. In contrast to the usual steel tools, the forging process is not the optimum manufacturing one as far as non-sparking tools are concerned. Whilst forged, non-sparking tools may have an elegant appearance, their drawback is one of suddenly breaking in instances of overloading. Casting these materials, in contrast, results in them bending rather than breaking when subject to overloading. 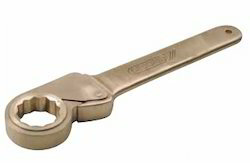 As cast, non-sparking spanners are of a stronger material cross- section, they ensure uniform transfer of torque forces. We guarantee that GEDORE non-sparking spanners are manufactured from a pure melt without the addition of scrap. Non sparking crowbars, wedges, spades, hatchets. 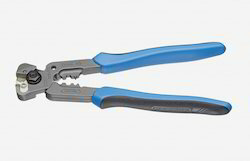 Multifunctional pliers for mechanical & electronic fields. Holding, cutting, insulation-stripping, crimping & squeezing. 5 in 1 plier. Hardness 62-64HRC. For medium hard wire 1.6mm. The slim leg feet are particularly suitable forthe removal of close-fitting components. We provide high quality German make Tool boxes, tool chest & tool cases. We also have roller tool cases. These tool boxes come with or without tools & can be customized as per your requirement. Ring type & open type slogging spanners are readily available. These types of spanners are used widely in maintenance in Cement, Oil & Engineering, Construction & Fertilizer industries. 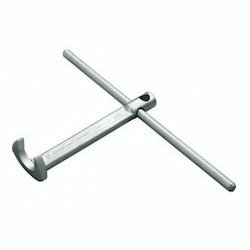 We provide high quality german make Spanners which can withstand heavy impacts. 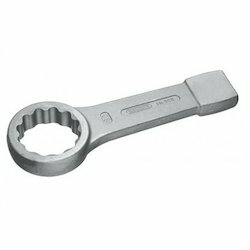 Socket wrench with two heads & tubular box spanner is readily available with us. 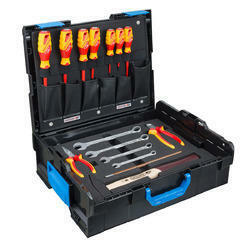 We are one of the highly acclaimed companies that offer a wide range of Screwdriver Set. These products are strong and sturdy in nature and ensure longer functional life. Advanced technologies and modern machines are used while manufacturing these products. These products are resistant to rust and can withstand adverse conditions. 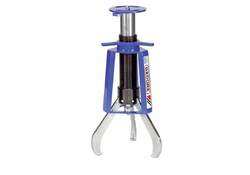 Avail from us a wide range of Puller Tool, as we are engaged in offering these products in small as well as huge bulk as per the needs of our customers. These products are well designed and are highly used in different industrial applications. All these products are safe to use and needs minimal maintenance. We ensure timely delivery of our products. According to the needs and demands of our clients, we are engaged in offering a wide range of Tool Module. These products are made with Vanadium Steel 31CrV3 polished & chrome plated, they are strong and sturdy in nature and ensure longer operational service. All these products are well known for their high tensile strength and reliable performance.These tools conforms to the DIN & ISO Standard. Our company is engaged in offering a wide range of Socket sets. These products are finely manufactured and ensure longer operational life. These products are available in different sizes and specifications. These products are well known for their excellent finishing and reliable performance. 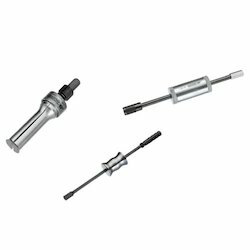 Based on new techniques and modern machines, we are engaged in offering a wide range of Socket Tool Kit. These products are precision engineered and are compact in design. Reliable performance and high tensile strength are some of the main specifications of these products. These products offer excellent results. For the diverse requirements of our clients, we are engaged in offering a wide range of Hand hammer. These products are strong and sturdy in nature and ensure long lasting service life. Advanced technologies and modern machines are used while manufacturing these hammers. These products are hardened and quenched. For extremely tightly packed ball bearing, bearing races, bushings & shaft seals simmering. The internal extractor is inserted into the bearing & the spindly screwed in. the sharp turned out shoulders of the pulling shell jaws will press outwards behind the part to be extracted.